Fight the Nefarious Fungal Foe! As you can imagine there has been a lot of emotion in the last several days and even today there is much I would like to draw out of my heart and mind and put into writing, but you know what, that takes a whole lot of energy which I’m a bit short on at the moment – that and a good chunk of uninterrupted time, which is also lacking. Here is the last day and a half in short. After much back and forth between the Oncology attending doctor and the orthopedic surgeon (who by the way is a 34 woman with three kids and two fellowships under her belt and is actually super nice), it was decided that surgery would happen yesterday. The orthopedic surgeon was hoping for more time for her ANC to rise and more time of antibiotics in her body. For the last 24 hours, she had three different antibiotics running every 6-8 hours. The Oncology doctor wanted to prioritize getting a biopsy as fast as possible in order to determine what is really going on inside her bone so that it can be treated most effectively and to consider how this new development may impact the timing and/or eligibility of her participation in the research study. The two docs compromised by having only biopsies removed versus attempting to clean out the bone which would also require a larger incision and thus put her at more of an infection risk with a larger wound to heal. 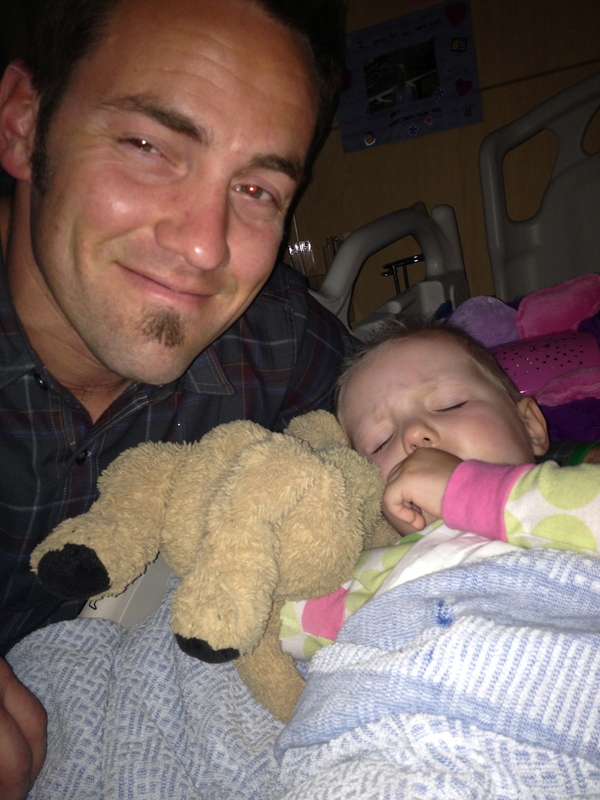 We were told surgery would be around 7pm and it turned out to be around 4pm instead – quite a lovely surprise. The surgery went great and 8 samples were removed. Because it is bone we are dealing with, first the pathologists must decalcify the bone and then they can attempt to grow bacteria and fungus and look to see if it looks like a leukemic infiltrate. It is possible we should have some results by tomorrow. So here is the really great news: more leukemia in the form of a leukemic infiltrate or a bacterial infection should not prohibit Allistaire from moving forward with her transplant! She’s already got leukemic infiltrates (turns out while her back went down a bit, her lymph node has increased in size a little), and these are not disqualifiers. And a bacterial infection should not be too challenging to treat, especially with the time we have prior to transplant. So that is really exciting! However, if the pathologists conclude that it is a fungus, we have a big problem. A fungal infection would delay transplant for 6 weeks. So a fungal infection is not necessarily an automatic “we’re finished,” but it certainly complicates the whole picture and would result in a substantial delay, in which time who knows what else could come up. Dr. Pollard says she has some possible ideas about how we would handle it but we did not even begin to discuss them. We will take that on should we need to. The only other complication could be if they do not get any conclusive information from the biopsies. In the event that the nature of Allistaire’s infection is unknown, there would be further necessary discussion to decide what our options are. While we await the discovery of what is really going on inside Allistaire’s leg, plans for moving forward have been made. Tomorrow at 12:30, Sten, Allistaire and I will go to the University of Washington Hospital, to meet with Dr. Ralph Ermoian, the Radiation Oncologist for a consult. Then from about 1:30 – 3:30, Allistaire will have a radiation simulation, where she is put to sleep and then put her in position and they do all of their calculations and calibrations to prepare to do spot radiation on the areas of the leukemic infiltrates. Her actual radiation will begin next Wednesday, 5/29. 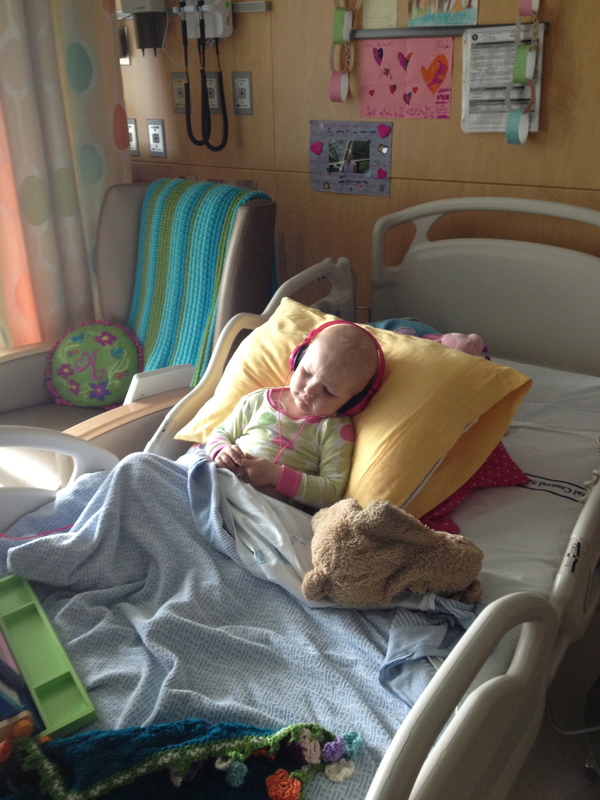 She will be sedated for each of the 10 days that she will receive radiation. This radiation is not part of conditioning for transplant the way that TBI (total body irradiation) would have been if she were getting the cord blood transplant. In the event of either transplant she would have been given spot radiation but because she is not getting TBI, the number of spot radiation doses is being doubled. In addition, the plan is that we will be transferred to the BMT (Bone Marrow Transplant) team this coming Tuesday, 5/28. Lastly, an echocardiogram was done today to check the health of Allistaire’s heart. Dr. Pollard is hopeful that with the med Allistaire has been on for the last few weeks, we may see improvement over her previous numbers. We should know results of this tomorrow. 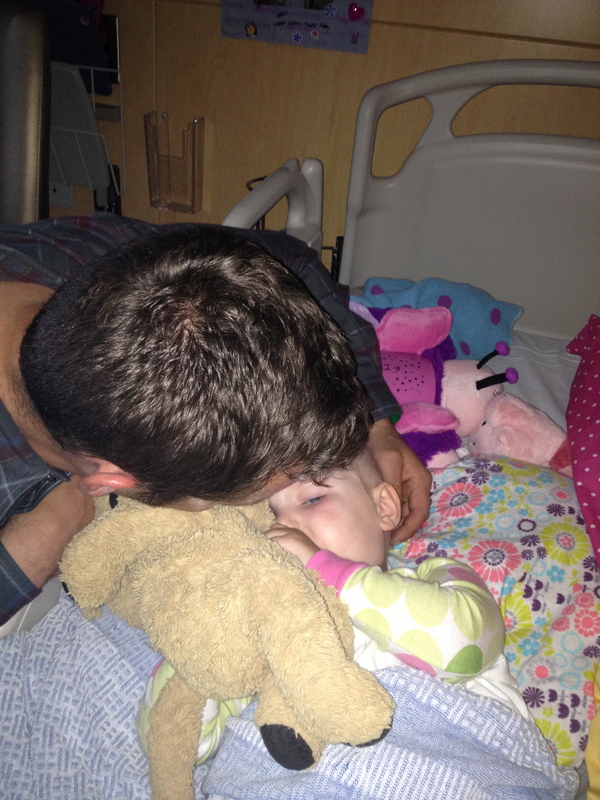 Tonight she began an oral, daily chemo called hydroxyurea. She cannot receive the chemo she has most recently been receiving because the transplant protocol limits what sort of chemo the patient can receive within a certain time span prior to transplant. 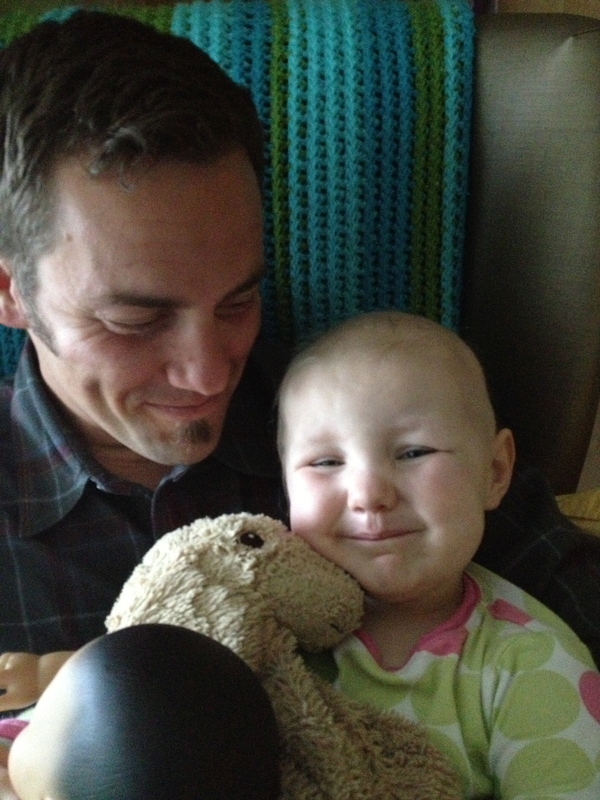 The purpose of the hydroxyurea is to keep her cancer at bay. We should see her beautiful blood counts begin to drop. 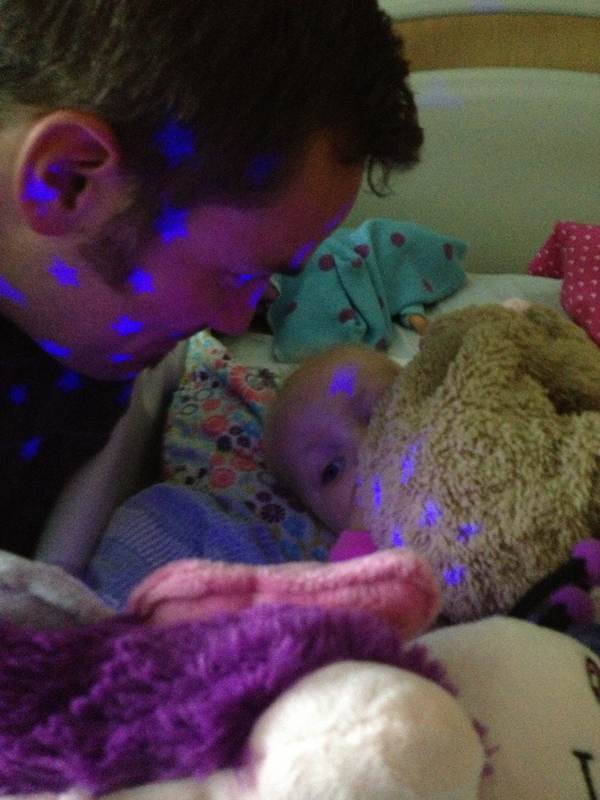 She has actually had a few ANCs in the high 500s and hasn’t needed a red blood transfusion in nearly 2 weeks. If her counts aren’t dropping, the dose of hydroxyurea will be increased to twice daily. I am of course very excited to be moving forward taking substantial steps toward transplant. It is so taunting though. You so very much want to be elated and let down your guard, but there are still so many doors to walk through to actually get to transplant. I am praying this is not a fungal infection in her leg and that her heart is either stable or improved. I praying that she makes it through all the additional testing she will still need. Conversations with the donor continue and I have not been told any hoped for transplant dates. If she does not have fungus and her heart is strong enough, we will soon have what is called the, “Arrival Conference,” in which all the details of the transplant and the testing are discussed. We may also be given a bit more information about the donor at that time. Then Allistaire undergoes additional testing. I actually have no idea at this point what sort of additional tests they might need to perform. This portion of the process could take up to 2 weeks. If we make it through all the testing, there is a “Data Review Conference,” in which a million consent forms are signed and you basically say yes, you can dump poison into my child’s body. And then at last Allistaire would have her conditioning which includes two different types of chemo. 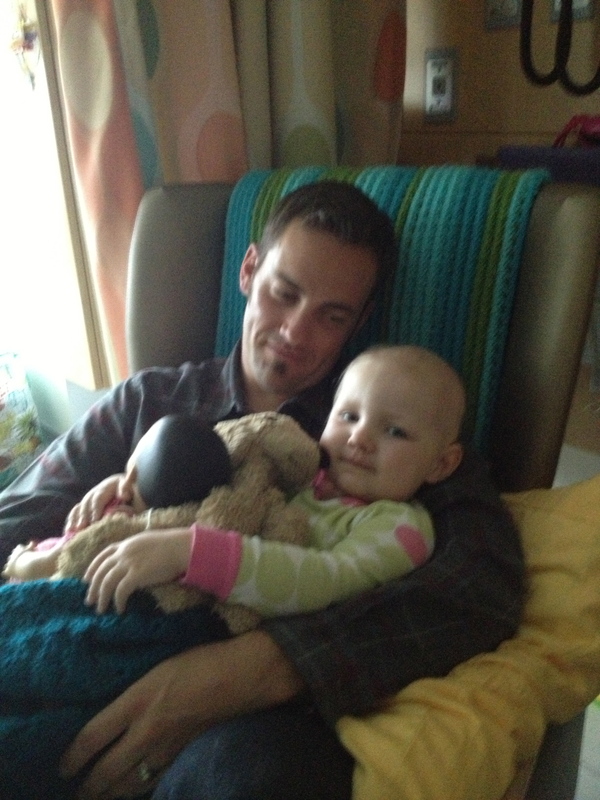 How often or how long she would get the chemo, I have not yet been told. But when at last all the poison has entered, you get new cells – you get your transplant! That’s when all sorts of other crazy hard stuff begins. Oh dear, this can feel all so overwhelming. On the other hand, there is a way in which the increased sense of absurdity of the situation, makes me a little more calm and able to laugh. I mean, what are you going to do? I can not control whether a pinky-fingernail-sized bit of infection in Allistaire’s bone will be full of something that keeps the door open or slams it shut. I have absolutely no control over the state of Allistaire’s heart. I am present and active here with her, but ultimately, this is simply out of my hands. It is up to God how this will turn out and He is able to open and close doors with no effort. That gives me comfort. There is nothing actually hard for God to do. Allistaire’s future is for the Lord to decide and in accordance act. That sounds really quite terrifying, that is, unless you have seen and tasted that the Lord is good. Another really super great part of today, was having Sten come for a visit! It is so good to have him here. You should have seen how unbelievably sweet he was to Allistaire when he first came in the room. 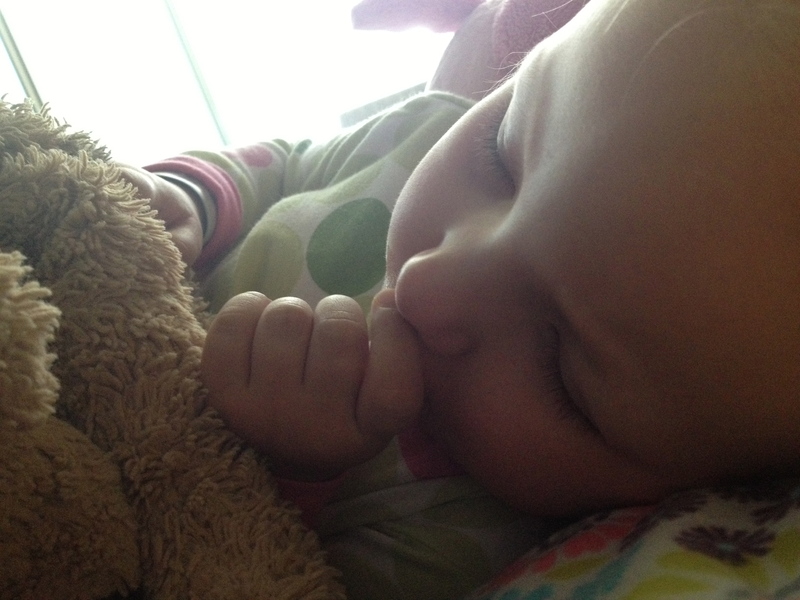 She was still asleep for her nap and he just so tenderly swept his fingers over her little baldy-top head and the perfect slope of her nose. They really are just painfully cute together! I knew Sten would be a great dad, that was one of the reasons I married him. And he is so sweet to me and I delight to have him here with us! Allistaire herself is a bit better today. She was in a quite a lot of pain when she came from the recovery room after surgery back to her room and cried out a lot for medicine until we could get the IV Dilaudid flowing in. We increased the dose and the frequency for overnight. She was originally getting it every 3 hours and was able to wait 5 hours between the final two doses that she’s needed. Six hours after her last Dilaudid, she was finally settling down for a late nap and said that her knee hurt and asked for some red medicine (the Oxycodone). Once the Dilaudid had worn off this morning she seemed to become more like herself with a few smiles, willingness to sit up in bed, lots less sleeping and far more verbalizing. She is still unwilling to bear any weight on her leg even to stand at this point, however. I pray the antibiotics take quick effect to give her both her mobility back and because they are fighting bacteria – something we prefer over fungus! I will be praying for no fungus and no further delay and relief from the pain that Allistaire has been in. Dr. Emorian is great and the nurses and techs there are all very kind. 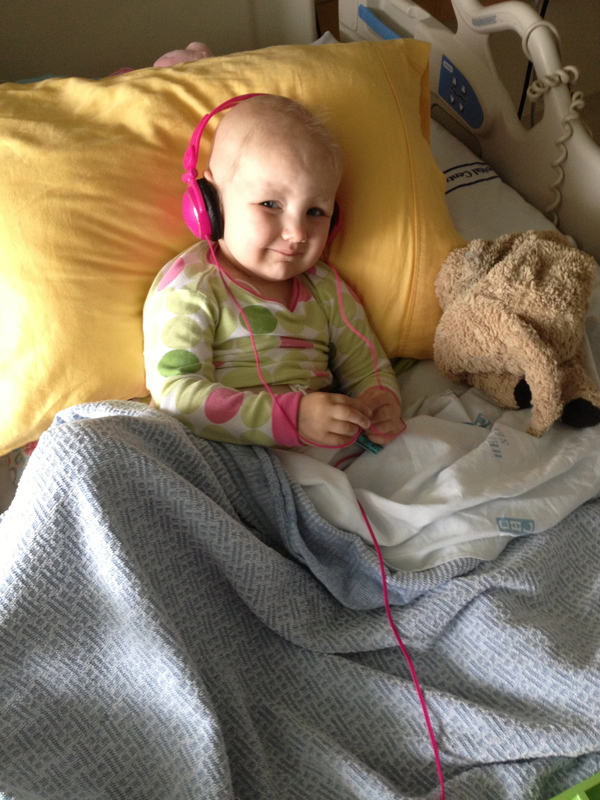 Olivia took radiation quite well and I of course, hope the same for Allistaire. Sometimes you just have to laugh at the absurdity of it all don’t you? I mean, really. I think cancer has turned me into a crazy person. No to fungus! Yes to bacteria! And Lots of love to you all! God is still God! Praying for all of you. May you find new strength for this day. My devotion for today. “Approach today with a desire to find me. I have been working to prepare the path that will get you through this day. There are hidden treasures strategically placed along the way. Some of the treasures are trials designed to shake you free of earths shackles . Others are blessings that reveal My presence: sunshine, flowers, birds, friendships, answered prayer. I have NOT abandoned this sin wrecked world. I am still richly present in it. Isa. 3:3-6. He knows every detail of what you are facing each moment of this day, Jai, and He will walk you through it. Lean heavy on Him today. Man, this all seems so overwhelming (your description of the rollercoaster was very apt). I’m sorry that you have to navigate this road, learn all these things, agree to the poison in the hopes it poisons the right things, share with people rabid to know how to pray with fervor, wisdom, and insight. Thank you for your courage to share! Praying God is tangibly near to you today, that Allistaire’s energy continues to rise, and that the antibiotics are effective at smushing the big bad bacterias! Love and love and love to you. Oh, I’m so glad Stem was able to come! I found your blog through a mutual friend (Joni Balian) and have been following your story and praying for you and sweet Allistaire. Praying strength, healing, life and joy over all of you. 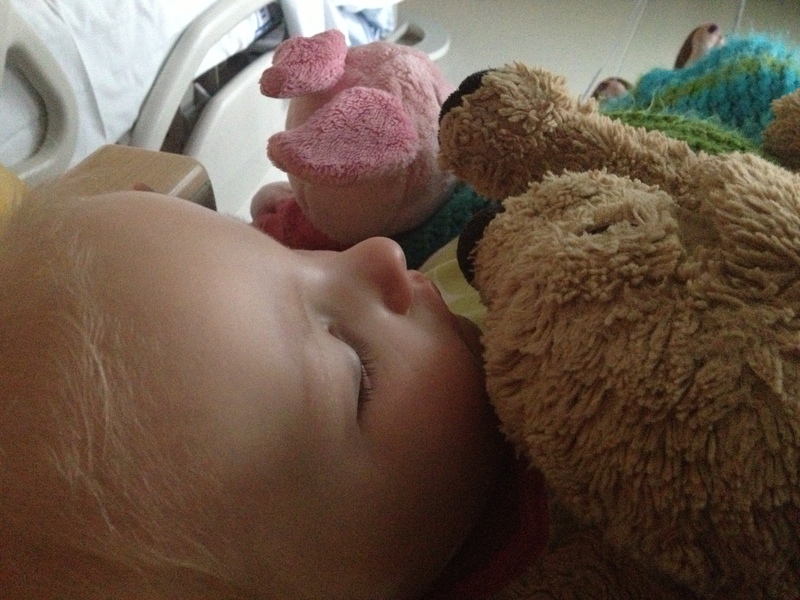 Okay, so I totally cried when you wrote about Sten coming in while she was sleeping and then seeing all those sweet pictures…. I know what it’s like to have my hubby/daddy gone for weeks at a time, but for your family to be split in two because of Allistaire’s health issues has got to be so much more difficult. I don’t know why this didn’t sink in more for me till this post, but I will be praying more for your family during this time apart…for the grace for ALL of you to get through the days without having each other physically present and for your times together to be sweet. Thanks Alison, I seriously appreciate all your prayers and will be thankful for all that ask our Father to hold our whole family up! Much love to you sister! Hi Jai- I’m not sure if you remember me but I was at TMC when you were an RD. I was Sarah Dyer then. Woke up at 4:30 this morning here in CA and God put you on my heart so here I am praying and crying for you in my prayer closet (master bathroom). Your pain is so real and cutting. Your faith and perspective amidst it all is such a blaring testimony of the grace and power of God. I just wanted you to know you are being lifted up. 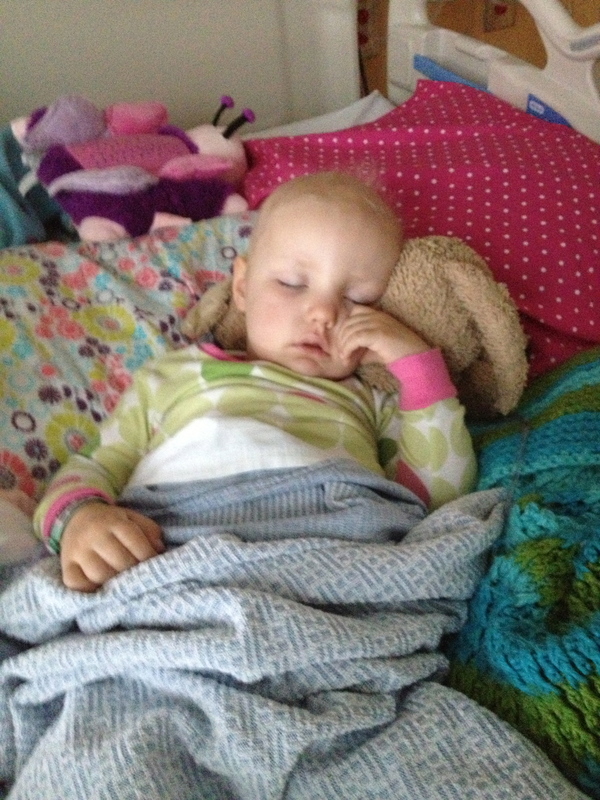 Praying for healing and for grace and for bacteria.